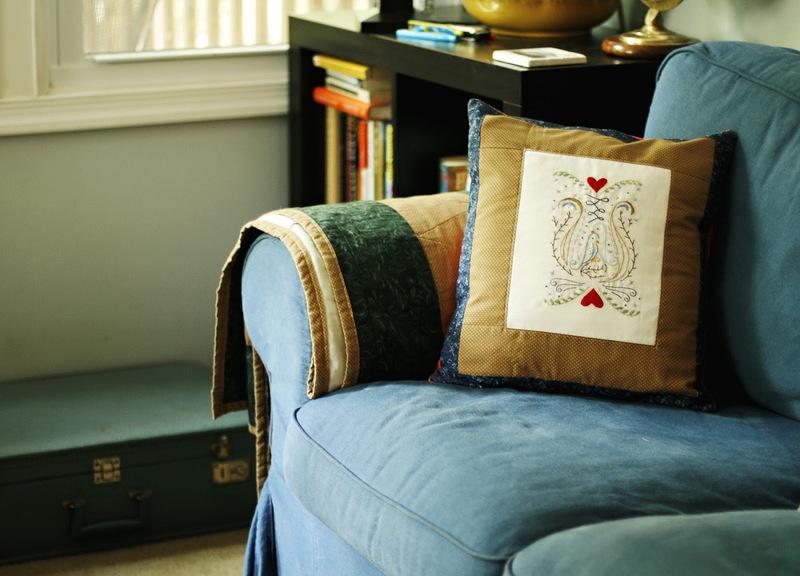 One of my personal goals is to create covers for the throw pillows on our sofa and to change them seasonally. We live in a small house, storing several seasonal decorations is not really an option. Changing covers on the pillows is a great way for me to decorate for the holidays and seasons without compromising our living space. This pattern is from Sublime Stitching Craft Pad. I embroidered the design on white cotton fabric and then coordinated the additional cotton prints with our living room decor.